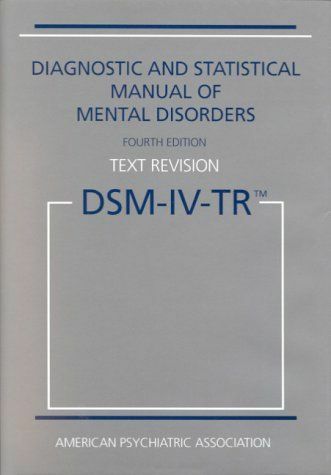 At this very moment, clinicians across North America are feverishly at work on the next revision to the Diagnostic and Statistical Manual of Mental Disorders, DSM-V. Soon to be even bigger. Each new version of the manual includes many exciting and new mental disorders previously unknown to science, or erroneously thought to be within the normal range of human behaviour and experience. For DSM-V the committee has taken the step of inviting clinicians around the world to submit their nominations for possible new disease categories. Suggestions are screened and evaluated by the experts for potential inclusion. To this end: I'd like to offer a modest proposal for the inclusion of a previously undocumented mental disorder plaguing much of the western world and rapidly rising in prevalence. A. A severe and persistent tendency to regard aspects of normal human functioning (e.g., bereavement, burnout, a loss of enthusiasm for uninteresting work) as signs of mental disorder. B. Intolerance for anxiety, sadness, anger, grief, or other strong emotions, particularly in others, and believing that such experiences need immediate treatment (pharmacologically or via psychotherapy). C. An authoritarian style resistant to questioning about the perceived illnesses, often accompanied by immediate reference to the sufferer’s own expertise and special insight. D. Dismissing as naïve, underexperienced, or foolish all those who disagree with the perceived illnesses. E. The disorder is perceived as a manifestation of personal insight and experience, and is therefore ego-syntonic. F. The belief is held that diagnosing such illnesses is an altruistic act that does no harm to those so categorized, as it makes diagnosed individuals more likely to seek help. G. A tendency to describe grossly exaggerated cases of the pathologized characteristic (cases which would readily meet the criteria for another problem, such as depression or anxiety disorder), then to generalize backward to members of the population who exhibit much milder forms of the characteristic and declare them ill as well (often over-inflating incidence figures by so doing). The disorder is a subtype of delusional disorder, and is often accompanied by narcissistic personality disorder. Prior to the 20th century, the disorder appears to have been unknown, though a related condition involved defining normal-range human characteristics (e.g., sexuality, falling in love, being from a colonized society) as evidence of moral failing. The disorder became prominent in the latter half of the 20th century and has increased exponentially since that time. Individuals in the helping professions appear to be particularly vulnerable to the disorder, apparently due to psychological contagion (mass hysteria is a related form). Such individuals seem drawn to those of like minds, and may be found on committees advocating the formal adoption of new disorders and the broadening of diagnostic criteria for others. In recent years the problem has “leaked through” to the public at large, where the problem manifests most frequently as a diagnosis of oneself as mentally ill.
Where treatment is possible, education regarding the normality and prevalence of human emotion, distress, and variable self-esteem may be helpful. The sufferer should gently be led to explore the possible problems associated with overdiagnosis. These problems include the fact that once a normal experience is redefined as a mental illness it loses its “signal value” (or usefulness) to the person experiencing it. For example, a period of poor motivation can be a welcome signal that one’s life has become repetitive and unstimulating and requires adjustment. A child who has difficulty settling and focusing on desk work for extended periods may require a higher level of physical activity. If these “symptoms” are redefined as mental illnesses, their ability to guide action can be lost; the goal of treatment is instead to eliminate them. The problem seems to be most prevalent in the 20s to late 40s. With age, most practitioners experience sufficient turmoil, stress, and loss in their own lives to recognize the breadth of human experience, and the potential value of intense emotions, including those often labeled “negative emotions.” Direct experience with a broad cross-section of humanity and with a variety of viewpoints regarding the nature of normality is typically helpful in this regard. It is my sincere wish that those in charge of creating new diagnoses will see OD as the serious and threatening epidemic it has become. 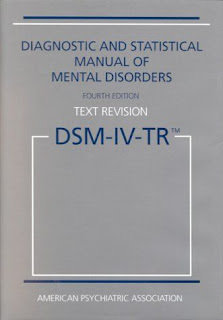 Although there is scant research on it as yet, my experience and special insight are, I feel certain, sufficient reasons to include the diagnosis in DSM-V. Once there, of course, it will become the subject of research and will appear in every subsequent revision. LOL I love this! Awesome. Denial of damage to others is the most dangerous symptom, and contagion among those vulnerable to the symptoms of OD are its biggest threat to public health. Here's hoping for a cure in my lifetime! !